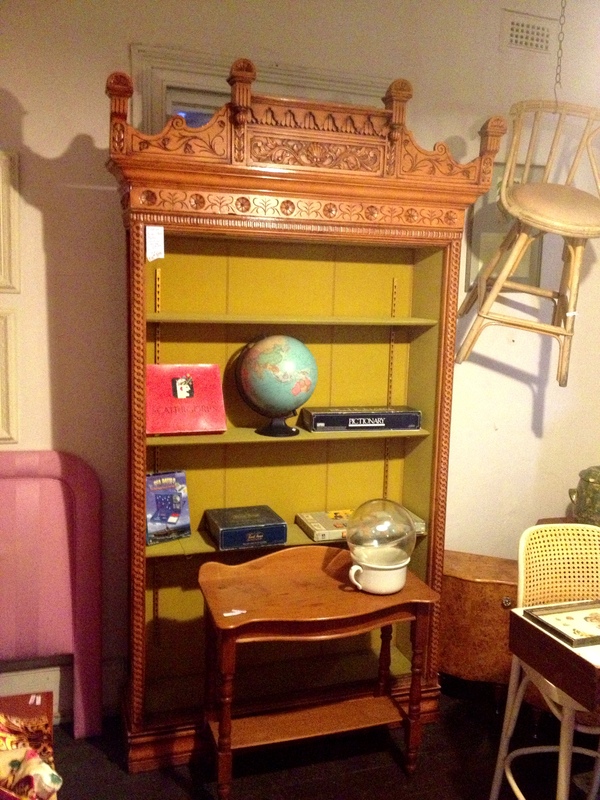 An extremely unusual very tall bookcase or display cabinet. Measuring over 2.2 metres in height the price includes two glass sliding doors. $590.